Jerry Lohr led the way in Monterey's Arroyo Seco District and was an early advocate of Paso Robles' suitability for the growing of Cabernet Sauvignon grapes. 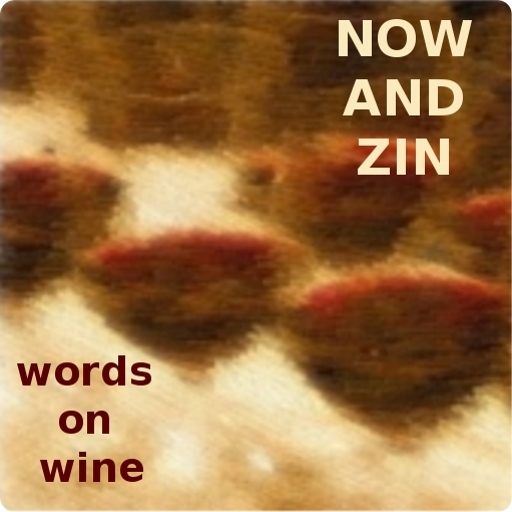 He's been a mainstay in California's Central Coast wine community for decades and his wines seem to get better with every release, still garnering awards and high ratings and still selling like crazy. I generally find California Sauvignon Blanc to be a little too ripe for my taste, a little too pretty. This one straddles the fence between a California close-up and an old-world postcard. There's plenty of tartness, balanced out with acidity and flavor. This Sauvignon Blanc wine was named for the original concrete water channel that connected two vineyards. 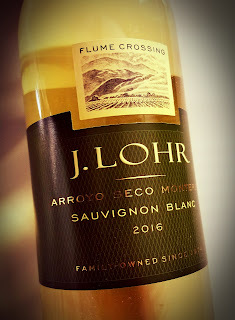 The J Lohr Flume Crossing comes from a cooler 2016 vintage which allowed longer ripening for the grapes yet maintained the acidity needed in this style of wine. The white wine was aged for five months, 45% in stainless steel, 55% in barrels. Alcohol hits 13.8% abv and the retail price is $14. Flume Crossing is an extremely pale wine with strong mineral and citrus notes on the nose, laced with a gentle herbal edge. The palate shows lemon, peel and all, with a handful of wet rocks minerality. The acidity is zippy and refreshing and begs for some crustaceans, immediately. (Slaps Head) I Could Have Had A Chardonnay!